They say that you can’t win the Florida Lottery if you don’t purchase tickets, but this is only partially true with Martin Gutfreund being the exception. 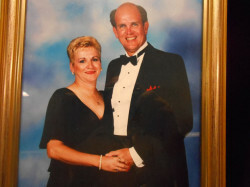 Although he never purchased a scratch off ticket in his life, the former executive was lucky enough to have his wife Mary Ruth buy the tickets for him. Apparently she’s a big fan of the game and frequently purchases lottery tickets, winning smaller amounts over the course of time. 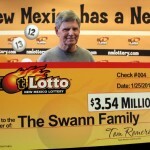 Last week, she won the jackpot worth $1 million out of which the couple will receive $575,000 as they chose the lump payment instead of the annuity. Mary Ruth Gutfreund told reporters that she previously won prizes of $50 and $100, but when she realized that she was the latest Florida Lottery millionaire, she couldn’t believe her eyes. 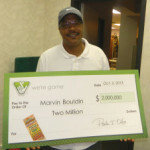 The seven figure amount was hiding beneath the number 22 and when she scratched it off and saw the prize she rushed back home to tell Martin the good news. 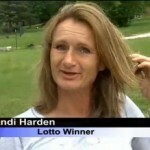 Her husband was reluctant to believe that the ticket was actually worth $1 million, but after the shop assistant confirmed the good news, he went to lottery headquarters to cash in the jackpot. 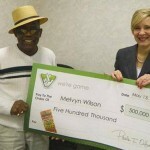 The money was presented to him one week later at the Florida Lottery office in Tallahassee and the couple enjoyed a warm welcome from lottery representatives. They could’ve opted for the $40,000 per year for 25 years from now, but instead they decided to go for the lump payment, which decreased the amount to slightly above half, after the IRS took its share. Even so, for someone who doesn’t play the lottery and has no interest in scratch off tickets, the six digit sum is a great boost to the family’s savings. 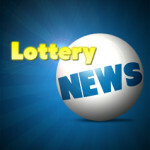 The vast majority of people who win the lottery, even those who take home an amount significantly lower than the latest Florida lottery jackpot, are looking forward to celebrate. The Gutfreunds will probably throw a small party and spend some quality time with those closest to them, but they have no plans of splashing out. Martin and Mary have saved enough money over the course of time to make the significant amount a welcomed addition, without being a life-changing sum. The only acquisition he made was a new car, more precisely a Chrysler 300 to replace Martin’s aging Hyundai, but except for that there are no grand acquisitions on the horizon. When asked by the reporters what they plan on spending the money on, the Gutfreunds told them that the vast majority of it will be used to pay for the grandchildren’s college tuition.